I've been having a blast with my new ("old") sewing machine--a Janome 6500 that I purchased used--and my adventures into all kinds of quilting techniques. After finishing up a quilt top that was in progress for two years (on an old Singer), I still didn't feel comfortable quilting but knew I wanted to do more...hence, the Janome...a lucky find my mom made while scoping out a Janome dealer in town. My first quilt top I pieced was a baby quilt in purple with multi-colored squares and dots. I tried to free motion quilt swirls in the borders, but was infuriated with thread breaks. After changing needles many times, I found that Inspira 90/14 quilting needles (mostly) solved the problem. 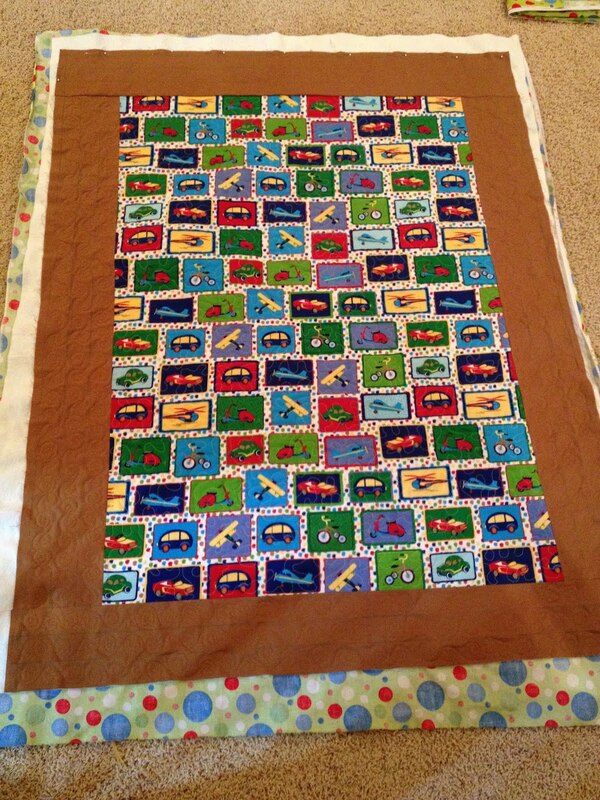 Then, I started reading the free motion quilting project blog. Her posts about thread lead me to try Isacord...and although I've purchased a few other threads to try (Superior, YLI, Aurifil), I haven't felt the need to try them yet. Now I'm working on a transportation themed baby quilt with all-over stippling, detailed small-scale stippling around some of the pictures, and fun swirly borders. I'm hoping to quick bind the project using this tutorial from Quilting in the Rain. 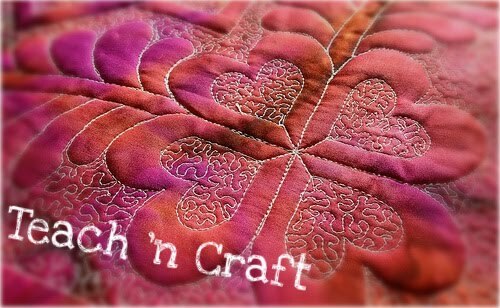 But, I want to use a decorative stitch like Leah from Free Motion Quilting. After taking my machine classes, I really wanted to try an applique project. Here's Hooterville by Brandywine Design. It needs a few more blanket stitches around some owls, but I'm ALMOST ready to piece it together! I stopped working on this to practice free motion--oh, and that whole job/apartment hunting adventure that happened mid-February. 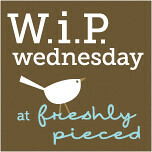 I'll pick it back up soon I'm sure...now that I'm feeling less intimidated by the idea of quilting it. 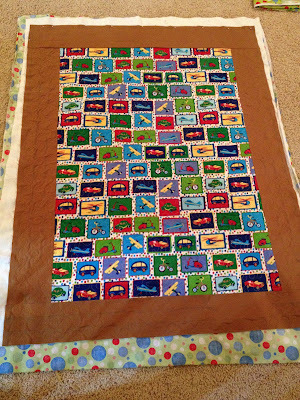 A tree skirt for Jamie--the pieces are cut, they just need to be pieced and quilted. A scrappy quilt that I started piecing as an all-over free motion practice quilt (before finding the awesome transportation fabric. 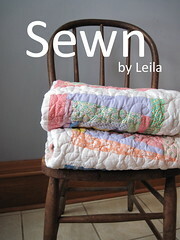 Now I'm off to wrap up some french toast for the freezer and quilt!